Stop by and say hi at our table. Pick up a yard sign, brochure, or bumper sticker—or all three. We got it all, and we want you have whatever you need to help us beat Measure B and keep commercial cannabis out of Plumas County! 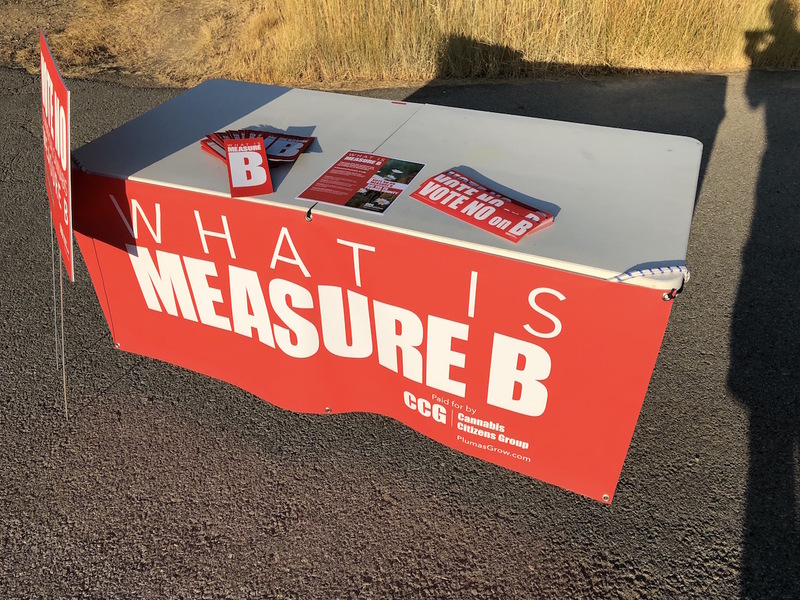 Together, we can beat Measure B and protect and preserve our beautiful county. ← Dear Voter: If we pass Measure B, who benefits? → COMMERCIAL CANNABIS—YES OR NO?